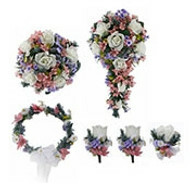 Beautiful wedding reception decorations often require lots of greenery and fake flowers in bulk. 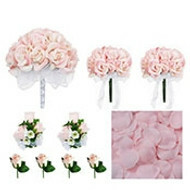 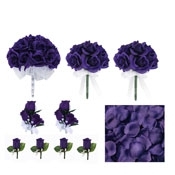 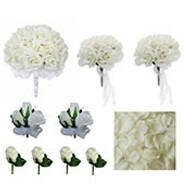 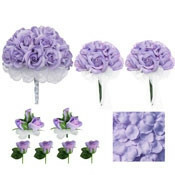 Shop our huge selection of gorgeous fake flowers for weddings and reception décor. Silk flowers bulk prices start at $2.49 for our seeded Eucalyptus stem for example. Purchasing 50+ stems qualifies for additional bulk price savings. 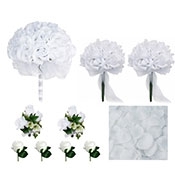 For the do-it-yourselfers and professional wedding planners out there, we have a wide variety of wedding reception décor designed to bring out an elegant tone for a special event. 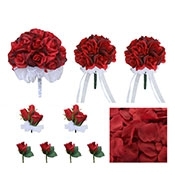 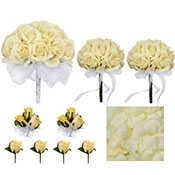 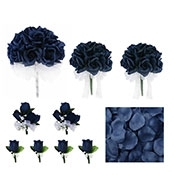 Silk wedding bouquets, bridal rose kissing balls, rose petals, garlands, and more are available in rich colors and crafted to the highest standards. 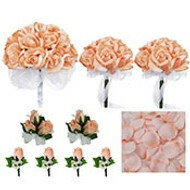 These decorations will remain vibrant all day long in any weather, and can be saved as mementos, or re-used for another occasion. 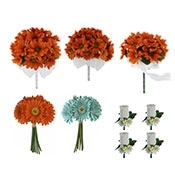 Enjoy a wide array of decorating ideas for your wedding reception. 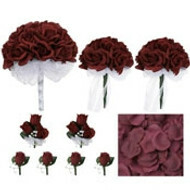 We offer complete color packages so you can decorate with confidence, knowing that all your silk flowers will coordinate.